Strange eats, an abundance of options, affordable prices: we are talking Thailand’s street food. Self-proclaimed foodies and even the least of knowledgeable foodie traveler can all get behind the delicious eats found across Thailand, particularly Bangkok. The capital has the most diverse cuisine is that it draws upon all of the regions for the delicious eats find lining the streets. 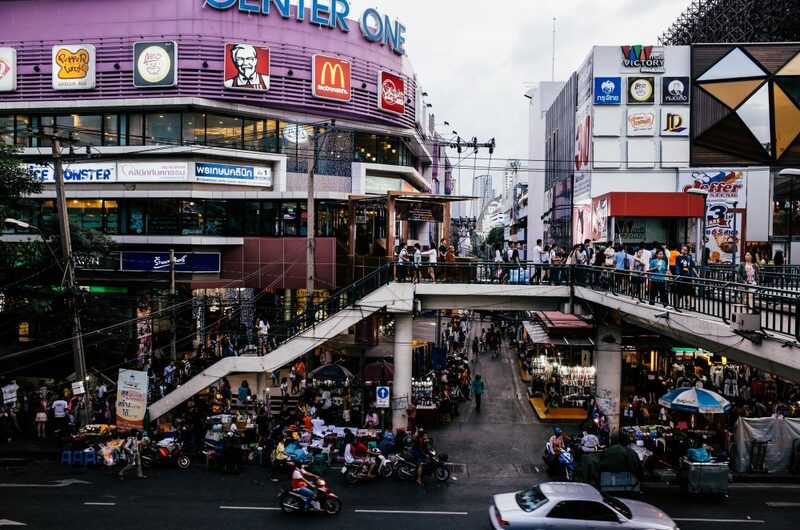 Here, a guide as to where to eat in Bangkok. Thai cuisine is so unique that visitors to the Land of Smiles never have to eat the same food twice. That being said, many will want to … the dishes are that good. Visitors will be happy to hear that frequenting a five-star restaurant is oftentimes done so in vain, as street food is oftentimes just as delicious (if not moreso) than its pricy competitors. Here, the top street food you should try. Grilled pork skewers are one of the most abundant of street foods found in the capital. Rows upon rows of these marinated skewers can be found on small grills at many of vendors, coming in at a whopping 10 for one. When eaten with sticky rice, this is a delicious and cheap on the go street food. 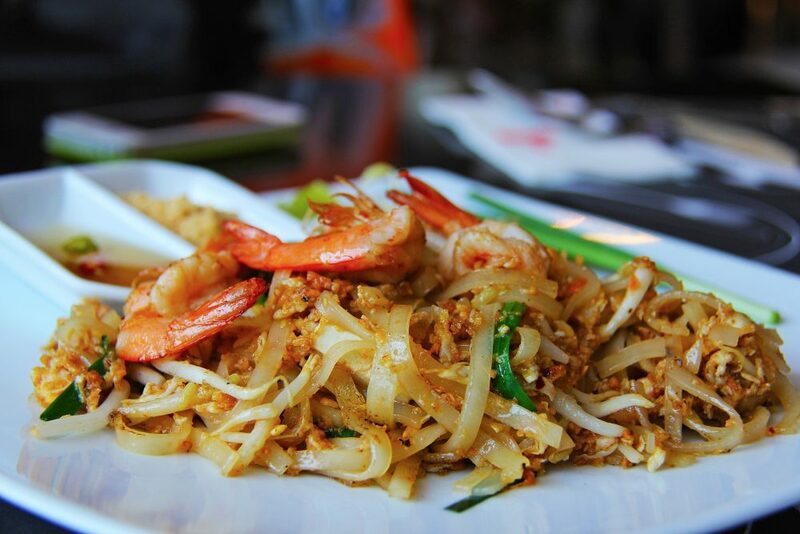 Pad Thai, meaning fried Thai, was proclaimed the national dish of Thailand in the late 1930s. This noodle dish can be found throughout the streets of Bangkok, and it is both cheap and made very quickly. The added palm sugar makes this noodle dish especially sweet, however, it is also spicy from added Thai chilies. Served with fresh lime, pad Thai is cooked with shrimp but oftentimes chicken or even tofu is used as a substitute. Grilled chicken, or gai yang, or one street food certainly found in abundance in the City of Angels. It is seemingly one of the healthier dishes on our list, as there is no added sugar. Visitors will find it served sliced and over rice. Other times, an entire chicken is attached to a large, wooden stick and served to-go style. 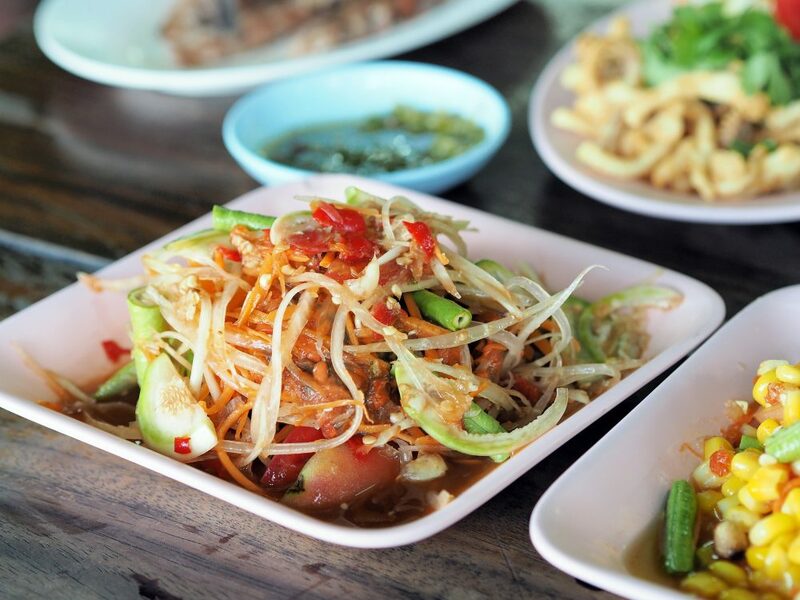 This sweet yet simultaneously spicy salad originated in the northeastern region of Thailand, otherwise known as Isaan. That being said, it is readily available on the many streets in Bangkok. Just be on the lookout for the mortar and pestle needed to make it. Chances are, if a vendor has one, they are making up some delicious som tum, or papaya salad. Bangkok’s heat can be unbearable. Luckily for visitors, there are many of vendors with plenty of drinks to choose from. Here, our favorite drinks we think you should try to quench your thirst. 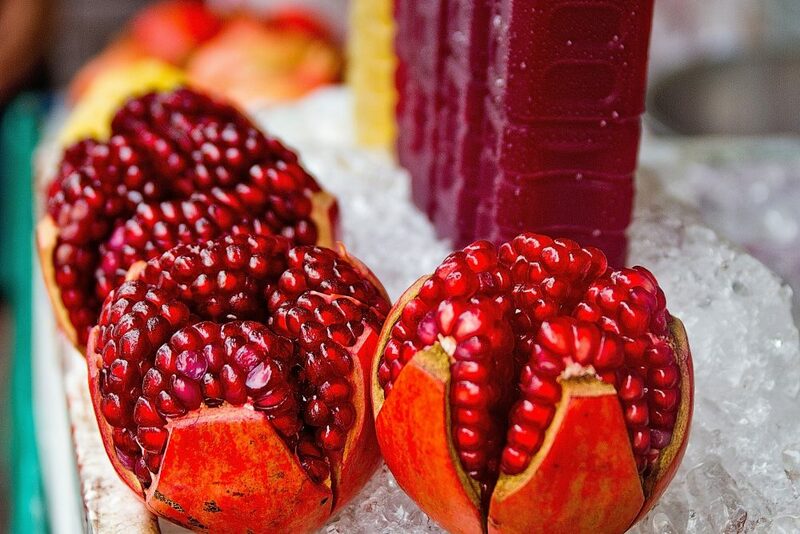 Nothing is more revitalizing than a freshly squeezed pomegranate juice. Found on the side of many streets throughout the capital, this sweet juice is sure to cool visitors off so they are able to take on the city. You know this juice will be especially delicious when the vendor is squeezing the juice right out of the pomegranate at the stall. Though largely geared for tourists, nothing is more delicious than a fresh coconut in the midst of Bangkok’s brutal heat. Whether visitors are a fan of young or old coconuts, these fruits are found around the city. Oftentimes, the water is put into a cup with sliced coconut inside in addition to ice. Other times, vendors will put a straw right through the coconut flesh and visitors can enjoy it straight from the coconut. Those on the hunt for something sweet should look no further than Thai milk tea. This drink is sold iced and is memorable because of its orange color. It is made with Thai black tea, and it is loaded with sweetened condensed milk. Throw in some added sugar, and there is simply no other drink in Thailand as sweet as Thai milk tea. This drink’s name pretty much sums it up. Honey and lime juice make for the perfect combination of both brio (sour) and wan (sweet). Some Thai desserts bring those who devour them good luck. Other desserts will only bring high blood pressure to consumers. 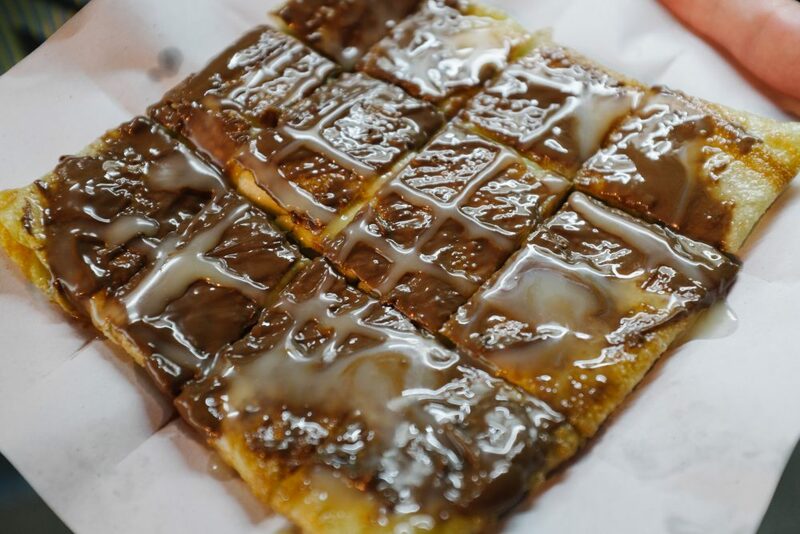 Regardless of the outcome, here are the most popular, street side desserts you should try. Coming in at number one (and for good reason) is the delicious desserts: mango with sticky rice. Sticky rice is a staple dish of the Thai diet in the north of Thailand. This particular rice has made it way into this dessert found across the country. This rice is drizzled with sweet coconut milk before being topped with the main ingredient: mangoes. 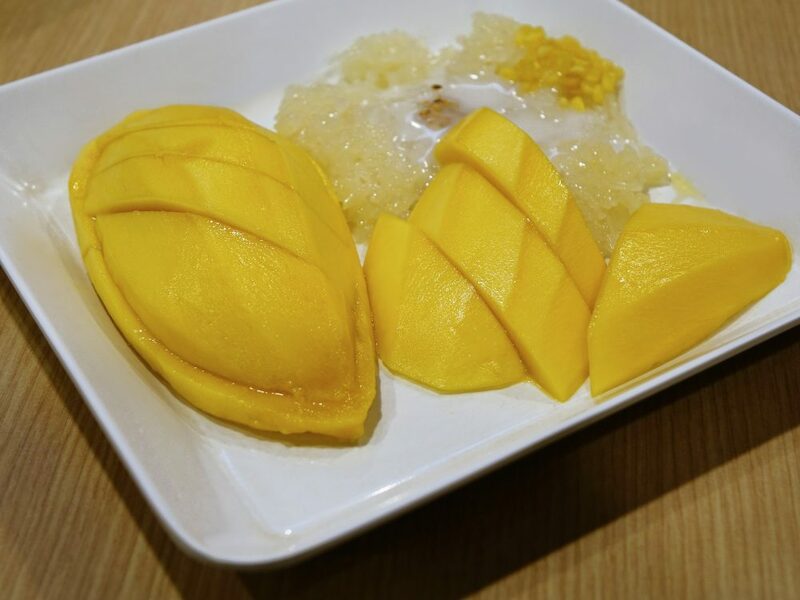 Thailand’s hot climate allows mangoes to grow almost all year round, so visitors will never have any trouble finding this dessert, regardless of the season. There are believed to be upwards of 30 different types of bananas in Thailand. That being said, as one of our favorite ways to eat this delicious and abundant fruit is deep-fried. These crispy treats are found all over Bangkok, with enticing aromas luring in customers long before they see the deep-fried bananas. Roti vendors are some of the most recognisable of them all. The large, flat wok sits in the middle of a vendor’s cart, surrounded by delicious toppings including peanut butter and bananas. The vendor then slaps and forms the dought into a crispy pancake over the hot surface, adding the toppings a customer so wishes to devour. The end results are delicious and pretty affordable, considering the large portion size. It is normally cut into squares pieces making it a great dessert to share among friends. Not many travellers would imagine something like corn to be appetising in a type of dessert. Thailand’s well-known fried sweet corn cakes, otherwise known as thod mun khao pod, have proved us wrong, however. Normally served with sweet chili sauce, these cakes are a doughy and delicious combination of something seemingly so random. Visitors can get an entire bag of these golden brown treats for under $1. Unfortunately, many of streets that are well-known for their abundance of street food have slowly started to decline. City hall officials have begun the process of clearing out these vendors in hopes of clearing the sidewalks, though when the official move to push out any and all vendors in Bangkok remains unclear. 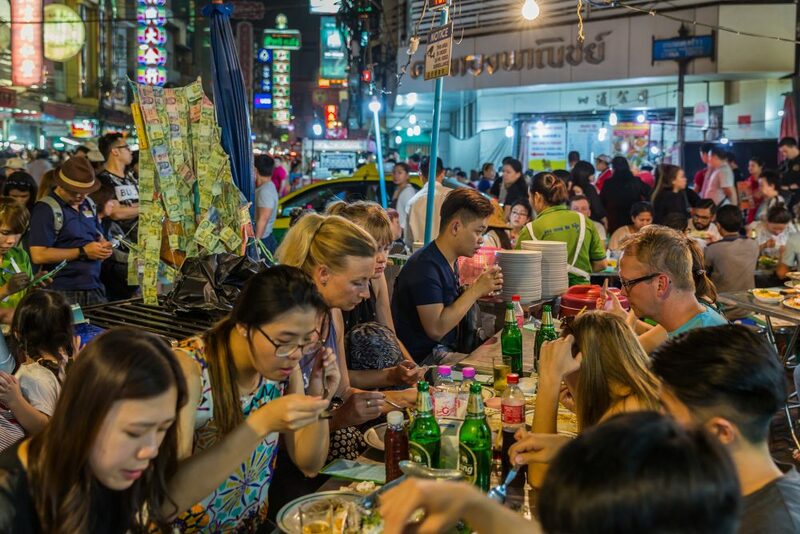 Regardless (and hopefully for longer to come), here are the best areas for street food in Bangkok. Yaowarat Road in Chinatown is alive and well with some of the most strange and delicious of street-side eats. From the abundance of hanging meat with everything from pork to shark fins (though we do not encourage you to try it) on display to one too many dessert stalls, Yaowarat Road has something for everyone. This area is easily accessible via boat. Visitors will have to take the BTS Skytrain Station to Saphan Taksin. From there, they will need to take the tourist or express boat to Ratchawong Pier. Ari, as up and coming as this neighborhood may be, still has its fair share of streetside vendors. One of our favorites is the pad Thai guy on the corner of Sukhumvit Road and Phahon Yothin 7 Alley. This area is also abuzz with spicy papaya salad and delicious Thai desserts, like fried bananas. Victory Monument is at the heart of all things transportation in Bangkok. Minibuses going to nearby cities used to be stationed here, but even with their recent removal the area remains alive and abuzz with city dwellers and a handful of tourists. In addition to its unique nightlife and shopping, Victory Monument is also well-known for the number of vendors that crowd around the traffic circle where the large, military monument sits. Phra Khanong has a few hidden gems in regards to street food. While most tourists do tend to stay on Sukhumvit Road, not many of them make it all the way down to Phra Khanong. That being said, the trek is not far when considering all of the delicious eats visitors will come across at the end of their journey. 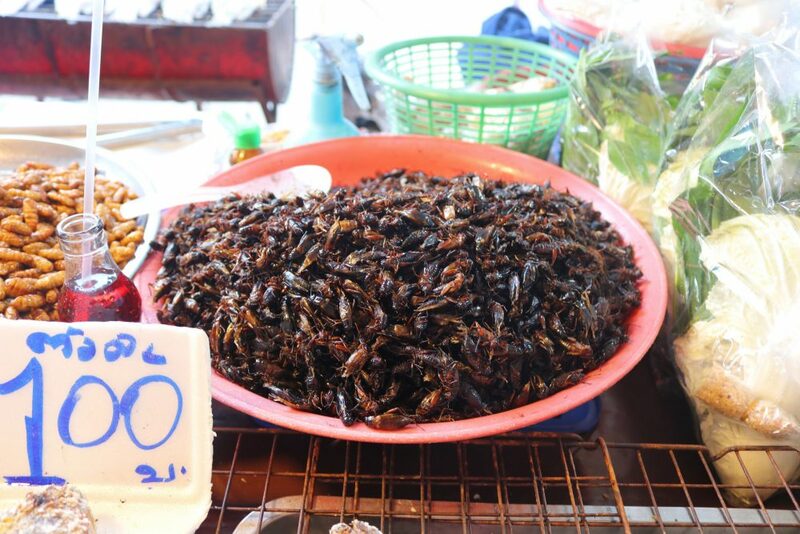 Down at the end of Sukhumvit 71 Road is a food market that has vendors selling everything from cockroaches to traditional Thai desserts. Visitors can also make their way to Phra Khanong Food Market here, where many locals flock to get their groceries. The area in general is teeming with eats, so feel free to explore the many side alleyways to find all of the street food. In case the rumours are true and these delicious vendors are forced to close, there are a handful of malls in the city with food courts equipped with similar eats. One of the best ones is the food court in Terminal 21, otherwise known as Pier 21. It has loads of vendors serving up both delicious and affordable Thai cuisine, and there is even a vendor with vegetarian food. The best part about Pier 21: it is indoors, thus relieving visitors of Bangkok from having to dine in the heat. 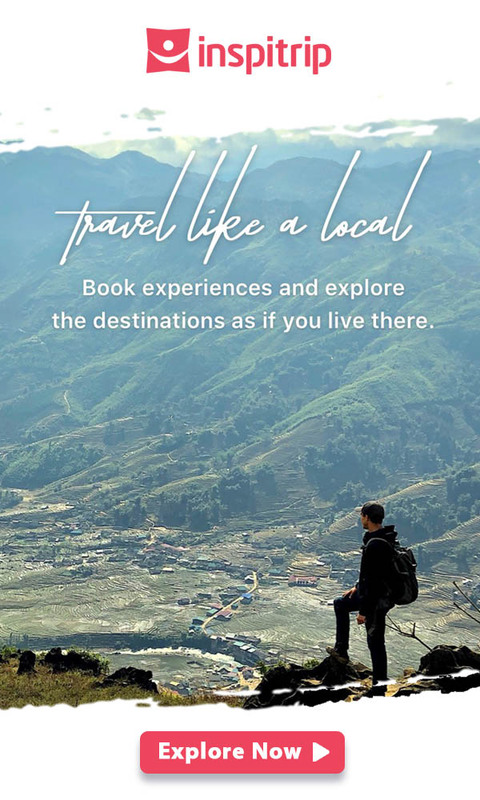 Take a look on other street foods “to die for” around South East Asia through the blog of my friend, Alisha.